M16A1 Furniture is Hard to Find? When Rob sent me this, I was both awestruck by it’s sheer genius and embarrassed by it’s simplicity. Realizing I had not figured this out for myself beforehand, I sat in stunned silence for at least 5 minutes. 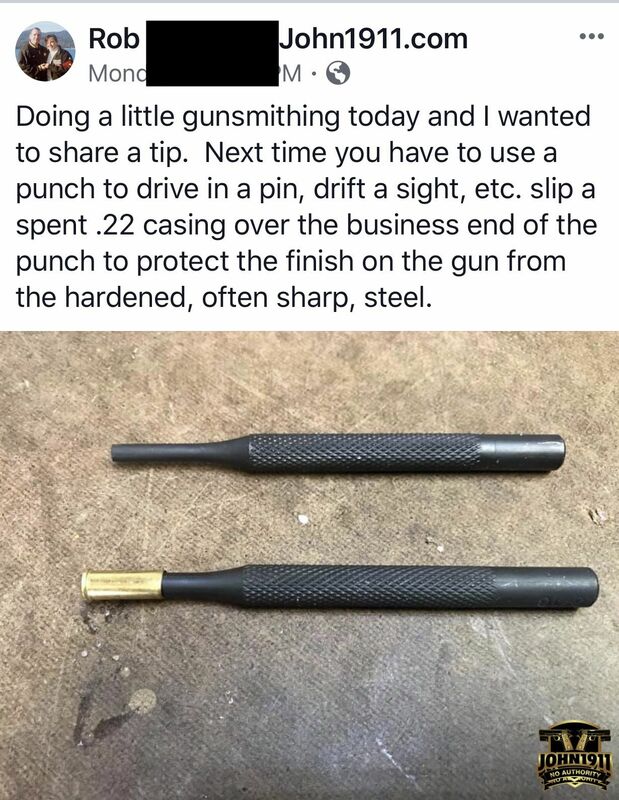 Admittedly I am not a gunsmith and I don’t ever portray myself as one. I break guns. Not fix them. But even with all that, I have to occasionally take a weapon to the workbench to address small issues. Like drifting or setting sights. 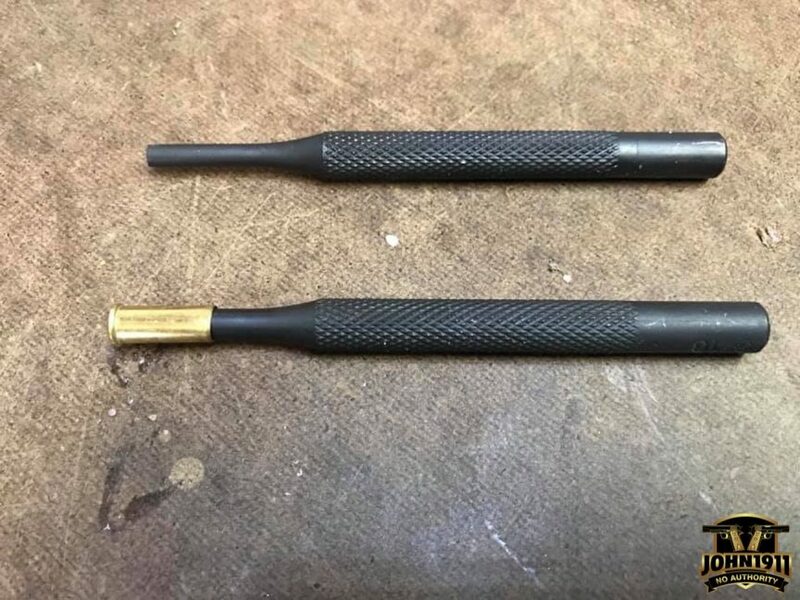 While we have brass punches, something like this might have made a difference during those times when the brass is giving and the sight isn’t. I guess you can teach old dogs new tricks. Steel punch. 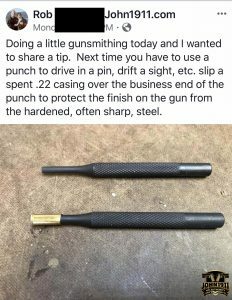 Steel punch with 22LR brass case to prevent marring finish. Bring on the hoards of keyboard-paladins clicking away with their perfect dunks. I certainly am not perfect, but at least I am honest. And I find that is usually good enough. Thanks for the lesson, Rob.